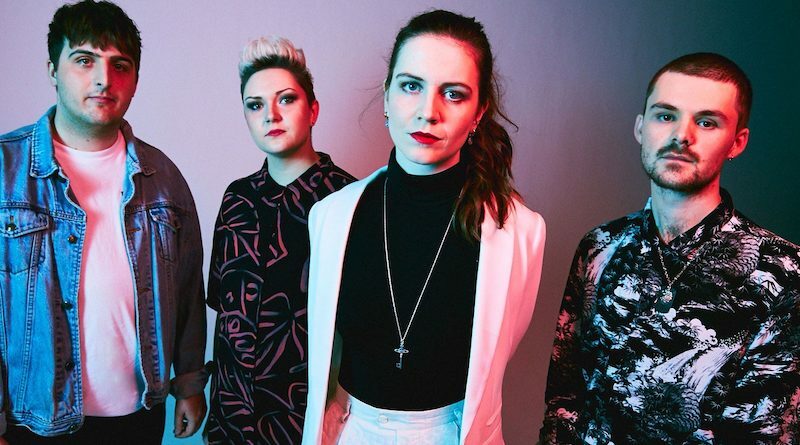 London four-piece Another Sky to head out on a 2019 UK tour, including a date at Birmingham’s Hare and Hounds on February 13th. London four-piece Another Sky are all about creating a mood to focus in on their music. A recent gig at St Pancras saw them perform in the dark save for some home made circular lighting that cast them as silhouettes. This air of mystery is perpetuated by the audible double-take that any listener does when they hear female vocalist Catrin Vincent’s voice. Rich and deep, it it something you would expect to emanate from a man rather than a twentysomething woman. But this doesn’t phase the young singer, who combines this barreling vocal with a much softer style as another device to entice the listener into the band’s atmospheric, shape-shifting sound. Formed at Goldsmith’s University back in 2014 through a mutual obsession with Talk Talk’s 1990’s Laughing Stock album and named after an Emily Dickinson poem about hope, the band released their debut EP Forget Yourself at the start of 2018 after a few years plugging away at the London Open Mic circuit. This was followed up by the single ‘Avalanche’ in the summer, its caustic lyrics about “toxic masculinity” channeling Tracy Chapman and appealing to the #MeToo movement of the time. The next single ‘Chillers’, released a few months later, garnered them further attention, securing a spot on Later with Jools Holland. 2019 promises to be an exciting year for the band as they seek to complete their debut album and embark on a Nationwide tour, taking in Birmingham’s Hare and Hounds on 13th February. With a blend of idiosyncratic styles and a finger firmly on the pulse, this is a band to soundtrack these unsettling times. Full details of the UK tour are below. Tickets are on sale now and can be purchased here.